During the civil rights struggle, Lewis was arrested approximately 40 times. Lewis was the youngest speaker at the March on Washington in 1963. 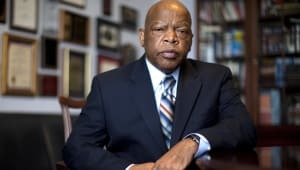 John Lewis was one of the "Big Six" leaders of the Civil Rights Movement in the 1960s, and he has continued to fight for people's rights since joining Congress in 1987. Born in Alabama in 1940, John Lewis grew up in an era of racial segregation. 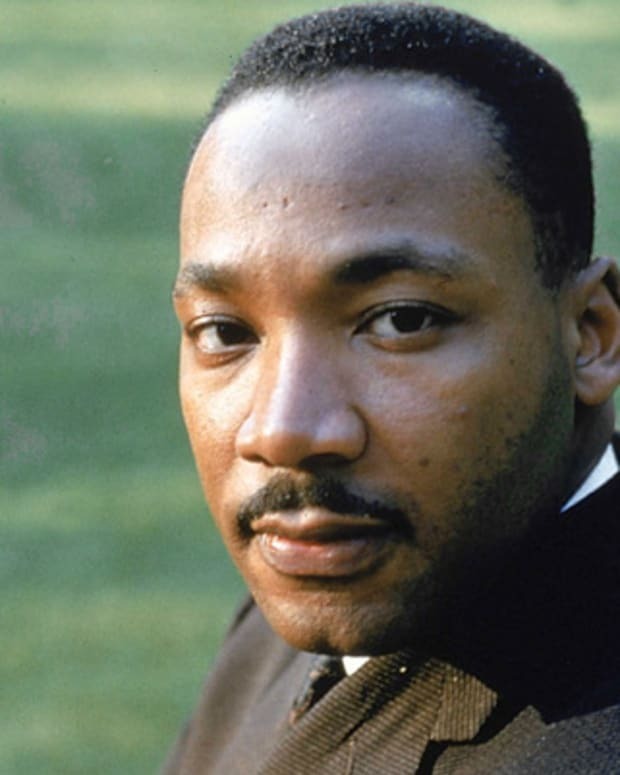 Inspired by Martin Luther King Jr., he joined the burgeoning Civil Rights Movement. Lewis was a Freedom Rider, spoke at 1963&apos;s March on Washington and led the demonstration that became known as "Bloody Sunday." 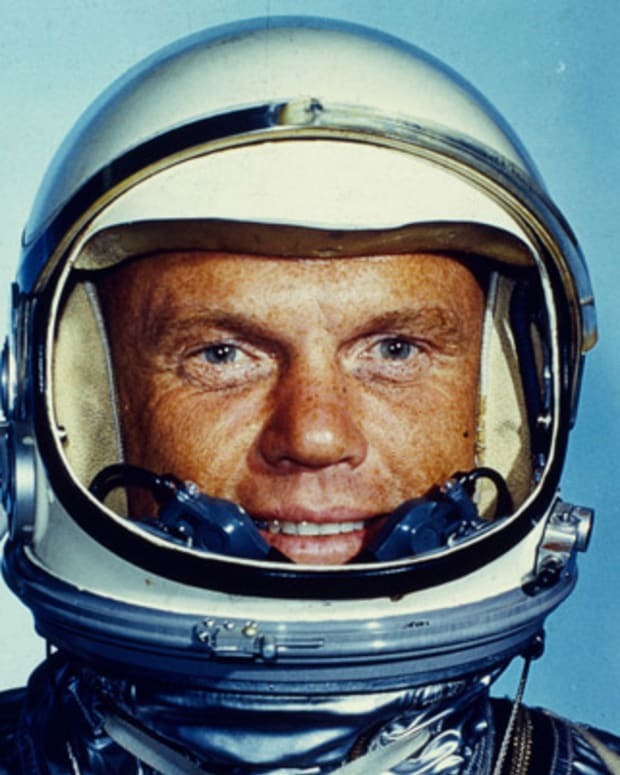 He was elected to Congress in 1986 and received the Presidential Medal of Freedom in 2011. John Robert Lewis was born outside of Troy, Alabama, on February 21, 1940. 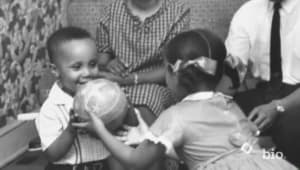 Lewis had a happy childhood—though he needed to work hard to assist his sharecropper parents—but he chafed against the unfairness of segregation. He was particularly disappointed when the Supreme Court ruling in 1954&apos;s Brown v. The Board of Education didn&apos;t affect his school life. 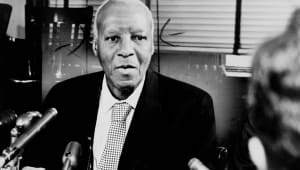 However, hearing Martin Luther King Jr.&apos;s sermons and news of the 1955-56 Montgomery bus boycott inspired Lewis to act for the changes he wanted to see. In 1957, John Lewis left Alabama to attend the American Baptist Theological Seminary in Nashville, Tennessee. 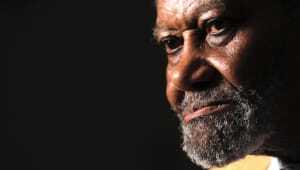 There, he learned about nonviolent protest and helped to organize sit-ins at segregated lunch counters. He was arrested during these demonstrations, which upset his mother, but Lewis was committed to the Civil Rights Movement and went on to participate in the Freedom Rides of 1961. Freedom Riders challenged the segregated facilities they encountered at interstate bus terminals in the South, which had been deemed illegal by the Supreme Court. It was dangerous work that resulted in arrests and beatings for many involved, including Lewis. In 1963, Lewis became chairman of the Student Nonviolent Coordinating Committee. 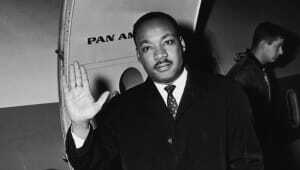 That same year, as one of the "Big Six" leaders of the Civil Rights Movement, he helped plan the March on Washington. Lewis—the youngest speaker at the event—had to alter his speech in order to please other organizers, but still delivered a powerful oration that declared, "We all recognize the fact that if any radical social, political and economic changes are to take place in our society, the people, the masses, must bring them about." After the March on Washington, in 1964, the Civil Rights Act became law. However, this did not make it easier for African Americans to vote in the South. To bring attention to this struggle, Lewis and Hosea Williams led a march from Selma to Montgomery, Alabama, on March 7, 1965. 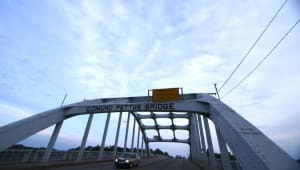 After crossing the Edmund Pettus Bridge, the marchers were attacked by state troopers. Lewis was severely beaten once more, this time suffering a fractured skull. The violent attacks were recorded and disseminated throughout the country, and the images proved too powerful to ignore. 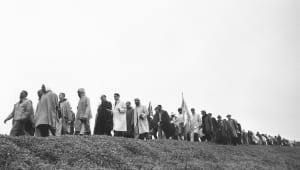 "Bloody Sunday," as the day was labeled, sped up the passage of 1965&apos;s Voting Rights Act. Lewis left the SNCC in 1966. Though devastated by the assassinations of King and Robert Kennedy in 1968, Lewis continued his work to enfranchise minorities. In 1970, he became director of the Voter Education Project. During his tenure, the VEP helped to register millions of minority voters. Lewis ran for office himself in 1981, winning a seat on the Atlanta City Council. In 1986, he was elected to the House of Representatives. Today, representing Georgia&apos;s 5th District, he is one of the most respected members of Congress. Since entering office, he has called for healthcare reform, measures to fight poverty and improvements in education. Most importantly, he oversaw multiple renewals of the Voting Rights Act. When the Supreme Court struck down part of the law in 2013&apos;s Shelby County v. Holder, Lewis decried the decision as a "dagger into the heart" of voting rights. The protest came just days after several measures including a bill regarding background checks and adding restrictions on the purchase of guns by people on the federal no-fly list, failed in the Senate. Senator Chris Murphy applauded the protest. Murphy had previously led a filibuster in the Senate which led to the subsequent vote. Lewis also spoke out against the presidency of Donald Trump, who was elected on November 8, 2016. In an interview with Chuck Todd for NBC News’ Meet the Press, which aired on January 15, 2017, Lewis said he didn’t believe Trump was a “legitimate president” because of Russian interference in the election. “I think the Russians participated in helping this man get elected and they helped destroy the candidacy of Hillary Clinton,” Lewis said in the interview. He also said he would not attend Trump’s inauguration. Trump responded on Twitter, criticizing Lewis’ work as a congressman and tweeting that Lewis was “All talk, talk, talk - no action or results. Sad!” The president-elect&apos;s attack on Lewis came just days before the Martin Luther King holiday, and prompted vocal support of the civil rights icon across social media. 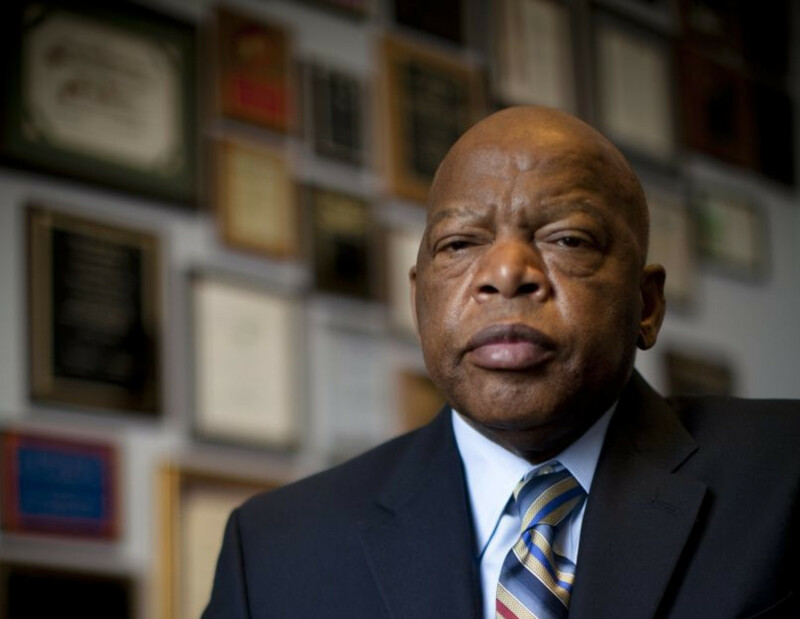 Several Democratic lawmakers also joined in support of Lewis, and boycotted Trump’s inauguration. Though the Supreme Court&apos;s decision about the Voting Rights Act was a blow to Lewis, he has been encouraged by the progress that has occurred in his lifetime. After Barack Obama won the presidency in 2008, Lewis stated that, "When we were organizing voter-registration drives, going on the Freedom Rides, sitting in, coming here to Washington for the first time, getting arrested, going to jail, being beaten, I never thought—I never dreamed—of the possibility that an African American would one day be elected president of the United States." 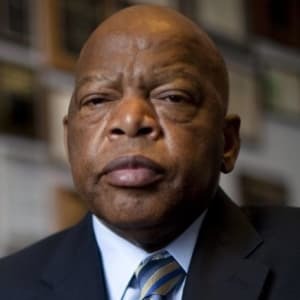 In addition to continuing his work in Congress, Lewis has reached out to a younger generation by helping to create a series of graphic novels about his work in the Civil Rights Movement. In 2016, he won the National Book Award for the third installment in the series March: Book Three, which marks the first time a graphic novel has received the honor. 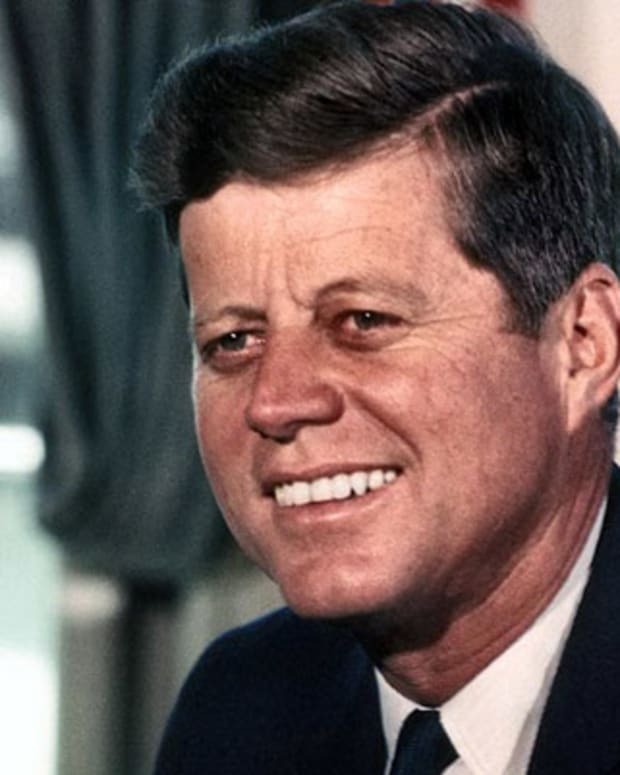 The civil rights icon has also been honored with numerous awards, including the Presidential Medal of Freedom, the NAACP&apos;s Spingarn Medal and the sole John F. Kennedy "Profile in Courage Award" for Lifetime Achievement. 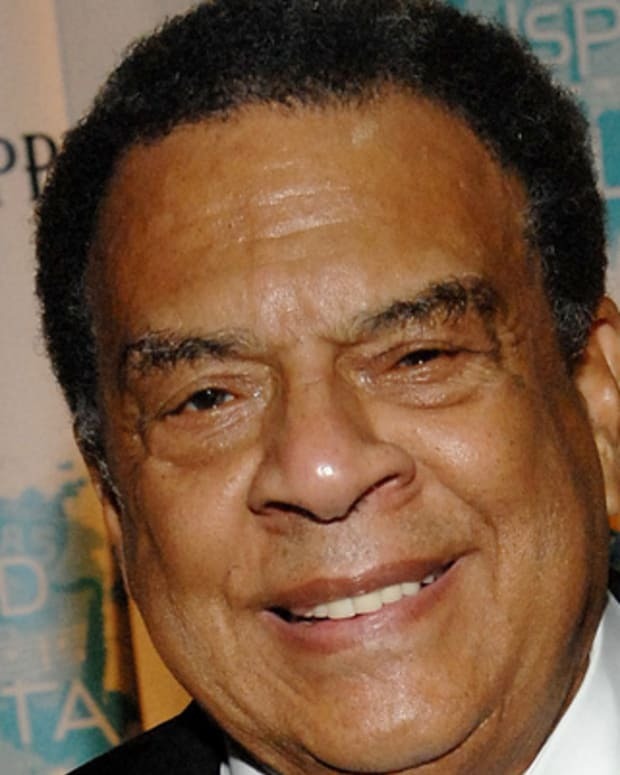 Andrew Young Jr. was an activist for the Civil Rights Movement. 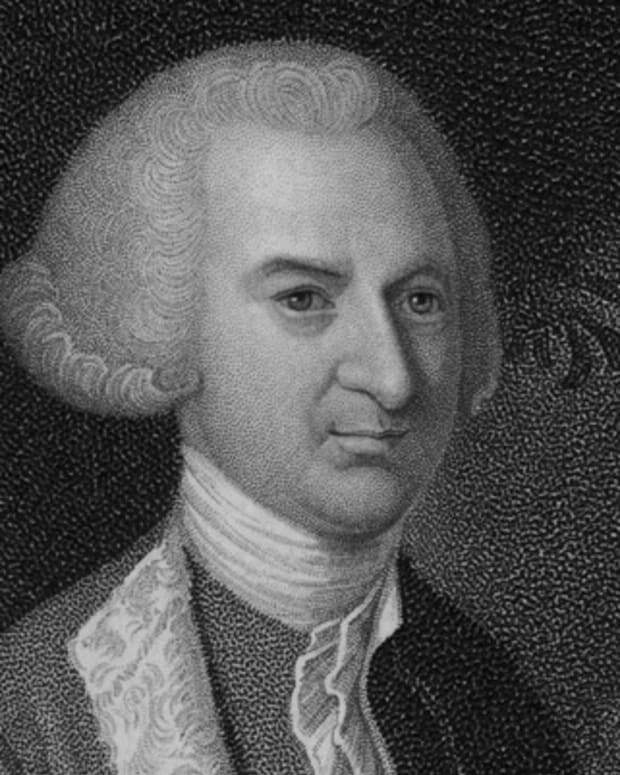 He became a member of Congress, mayor of Atlanta and U.S. ambassador to the United Nations. 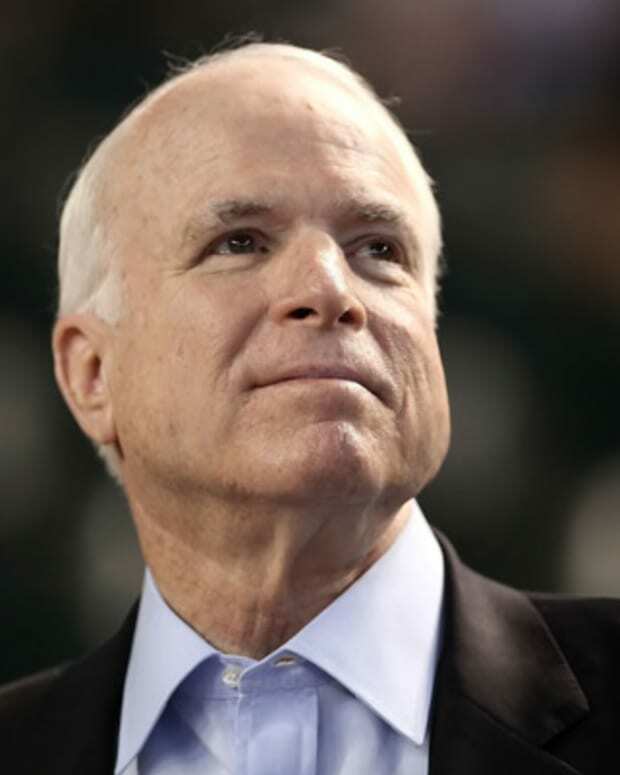 One day after thousands of people lined up at the Arizona Capitol to pay their respects to John McCain, family, friends and political leaders gathered at a Phoenix-based Baptist church to celebrate the late senator. Former Vice President Joe Biden quoted Shakespeare in his eulogy, saying, "We shall not see his like again." 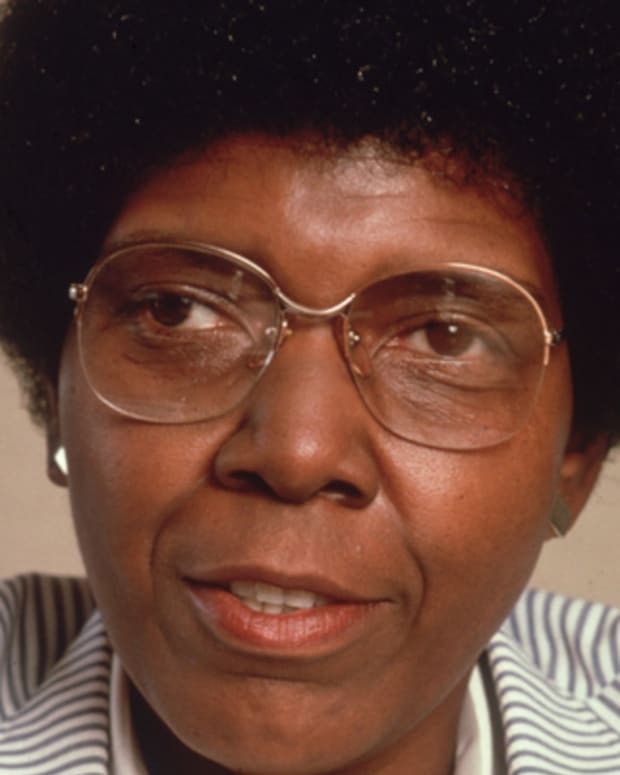 Barbara Jordan was a U.S. congressional representative from Texas and was the first African American congresswoman to come from the Deep South. 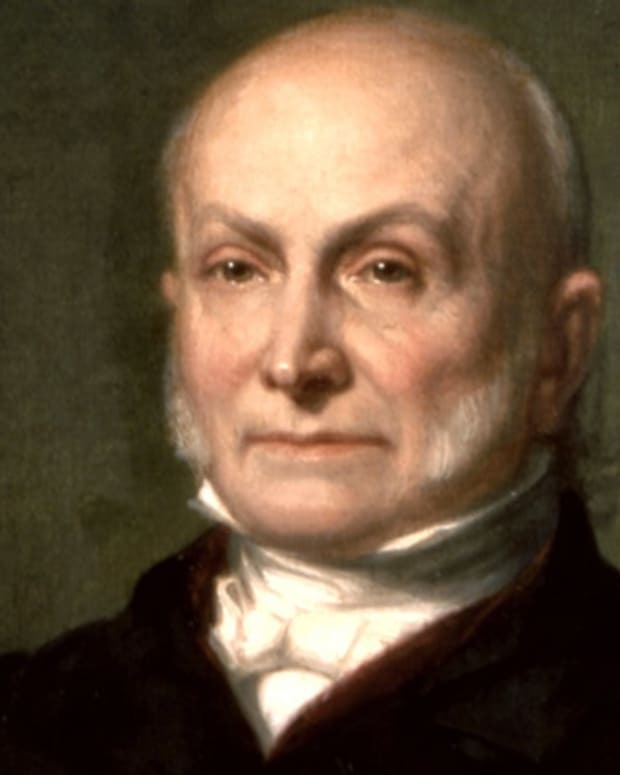 John Quincy Adams was the sixth president of the United States. 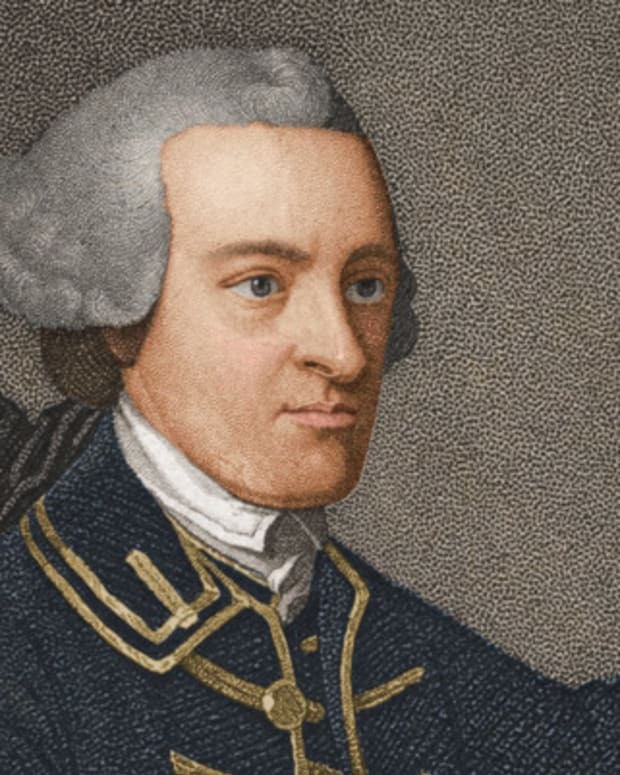 He was also the eldest son of President John Adams, the second U.S. president.